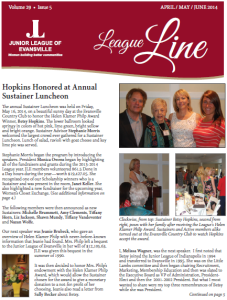 The LeagueLine has a circulation to our membership of over 400 women in the Evansville area. Members are Active, Sustainer, and Provisional members of the Junior League of Evansville. In addition, the LeagueLine is distributed to our Mission Sponsors, not-for-profit grant recipients and other midwestern Junior Leagues. 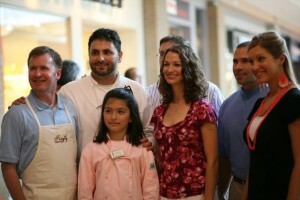 The newsletter is available to the public on our website. For more information on becoming a sponsor, contact our office at office@juniorleagueofevansville.org or via phone at 812-434-6710. Camera ready artwork must be provided. The artwork can be submitted in .jpg or .pdf format. Payment is due upon receipt of artwork. 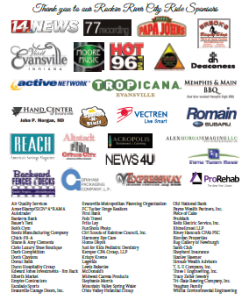 Our fundraisers and community events in Evansville, Indiana offer local businesses the opportunity to advertise their products and services while promoting positive community action and voluntarism right here in the tri-state. Businesses supporting the mission and goals of The Junior League of Evansville are encouraged to support these events–expanding potential exposure and delivering their brand’s message to a large groups of area residents who share their core values. Please contact our office at office@juniorleagueofevansville.org (Attn: Fund Development or Community) or via phone at 812-434-6710, visit us on Facebook for more information on upcoming events.